Choose from Basic, Standard & Superior accommodation with festival ticket included. To assist you with the best travel options you can change your arrival dates to the 11th or 13th. Minimum charge is 6 nights or you can choose to stay longer. VIP GOLD offers fantastic luxury 5* accommodation plus VIP access to Horizon Festival including backstage and artist bar access, queue jump, 1 secret party allocated at accreditation, Bansko banquet, access to VIP tables and VIP areas at selected venues. We will provide you with private return airport transfers, welcome drinks, welcome champagne, welcome dinner, drink tokens for your stay as well as free Horizon Festival merchandise. Stay in absolute luxury at the Kempinski Hotel with 5 star buffet breakfast included. An oasis of extravagance, comfort and mountainous tranquillity in the heart of Bansko. The luxury Ski and Spa hotel comprises of impressively decorated Alpine-style rooms, lavish dining services and an award-winning spa centre. This hotel offers nothing but the best first class hotel services and facilities to compliment your VIP GOLD access status. The hotel is next-door to the Gondola station and is only a 15 minute walk from the old city and city centre. The crème de la crème of the resorts hotels. Five star luxury at amazing prices. Gardenia is the perfect accommodation if you want to be a few feet away from the headline parties whilst taking breakfast with your favourite DJ's! Note: This is a Horizon exclusive hotel. 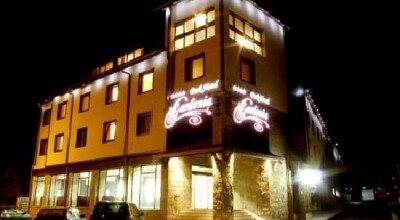 This apartment complex is located just 250m away from Bansko Ski Centre. Its central location, pool & spa facilities and brilliant value makes it one of the festivals most popular apartment complexes. 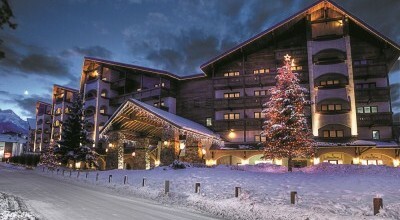 Great self-catering comfortable accommodation near to the ski centre, at very affordable prices. This is a horizon takeover hotel.